Home World Human Meat Kebabs - How Hungry Could You Be? Human Meat Kebabs - How Hungry Could You Be? It seems that the strangest news reports we hear about come from the Russian media. In this latest case, three homeless people have been arrested by Russian police under suspicion murdering and then eating a 25-year-old man. 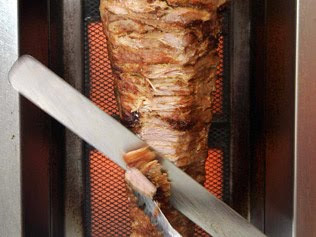 It is alleged that the trio first butchered their victim, and after satisfying their own hunger, sold the remaining parts of the corpse to a local kebab house. 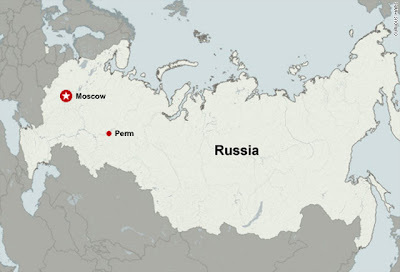 Authorities were first alerted when dismembered parts of a human body were found near a bus stop in the outskirts of the Russian city of Perm (1,150 km east of Moscow). According to the Prosecutor-General's main investigative unit for the Perm region, the three homeless men all had previous criminal records and have been arrested on suspicion of "setting upon a foe with knives and a hammer before chopping up his corpse to eat". This formed a part of the official press release which was published on the official investigators Web site. (NB: I have purposely not created a hyperlink to the official website, as it has malware embedded - and it is written in Russian language nonetheless). "After carrying out the crime, the corpse was divided up: part was eaten and part was also sold to a kiosk selling kebabs and pies". I have now officially been put off kebabs for life!!! Eeewwww! !